Oil & Gas - Accurate Scale Industries Ltd. 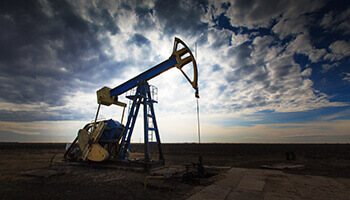 When we talk with oil and gas companies, there’s a lot of talk about bottom line. Can we get trucks through the terminal more quickly? Is there a way to simplify the drivers job? Anything to make the job simpler and more efficient, that’s the real story behind oil and gas measurement solutions. Every terminal needs scales; knowing the weight, density and source of all the resources that pass through. It’s an unavoidable part of the business, but we still found companies struggling with dated solutions that slowed operations. We came to oil and gas companies with a new, custom approach to building equipment and software that improved operations performance. Getting trucks through the terminal faster, making it easier for drivers to input information, integrating with existing programs; these are some of the values Accurate Scales brings to our energy customers. The biggest problem was that most scale and software systems are off the shelf, our-way-or-the-highway kind of programs. For companies managing numerous software programs, this kind of rigidity only creates administrative headaches, slowdowns and costly integrations. We took the custom approach to software; by working with the company to identify data requirements and existing systems, we’re streamlining your process. Easy to use interfaces, integration with existing programs and data reporting that provides valuable insight into your business; that’s how we see software. Learn more about our custom programs on our software page. Industrial scales take a beating every day, but they need to continue functioning properly for operations to continue. When damage occurs, electronics begin to short or accuracy is off, repairs and calibration need to happen quickly. We get the call when things break down, even with our competitors’ scales, because of our reputation for responding quickly and doing a quality job. Our expertise is in actually designing and building scales, not just distributing them. The highly experienced technicians at Accurate Scales can diagnose problems, source parts, and even rehabilitate the entire system at our Edmonton facility. The demand for frac sand in Western Canada is high. This has placed the onus on frac sand suppliers to be conscientious and mindful of their inventory during production and transportation. 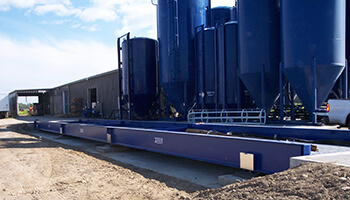 Hopper/bin and truck scale solutions from Accurate Scale have helped sand plants with controlling their product inventory so that you know exactly what was shipped and received. Your plant needs to ensure that they control their inventory during the production process. Hopper scales can be the tool you need. A large volume of trucks going in and out of a frac sand facility can make inventory control a challenge. Let us ensure that you have reliable products on your side. They are manufactured by our company in Western Canada. Reducing downtime is also about avoiding maintenance. By having a longer lasting, more resistant scale, you can save on servicing costs and avoid closing scales during operations. To endure the regular, heavy loads of oil and gas trucks, scales have to be built to the most rigorous standards. 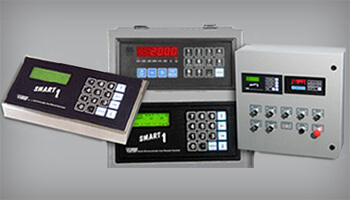 The scales we design are manufactured from rigid steel, outfitted with steel or concrete decks, and built with easy to replace electronics and load cells. This kind of construction is designed to make the scale last for decades, withstanding hundreds of trucks a day without fatigue. The more points where a driver or operator needs to input data means the more times information can be input incorrectly. These errors can be difficult to trace, and even more difficult to correct once the truck is finished unloading. We build and install automated ticketing systems and software that have easy to understand prompts for people. Entry of legal land description can be done by the driver, and information like weight and density are automatically calculated by the scale itself. These efficiencies are built to avoid error, but they really meant to make people’s lives easier. Less work for your team and more automation means trucks go through the terminal faster and data is more accurate.